I live social media for our brand day and night. It’s something I’m passionate about. But like many of you, I’ve had my pad and paper out and my browser windows open, writing down new ideas for social media in 2014, sourcing trends, and picking my brain to make improvements in strategy. Social media strategy for real estate is really about learning more about your audience (potential clients) and providing fantastic value with your knowledge and expertise on the platforms, and in the ways, and when, they are most likely to find you. What is the formula that will work better for you this year? Is it time to try some new platforms? Or is it time to really commit to what works for YOU, and focus on doing it well? One of the things that I most love about the real estate industry is that we are tightly connected to those who are just like us … we learn, we share, we crowdsource, and together we improve. I decided to reach out to two other respected social media professionals in our industry. They both have driven social media programs for brands and also happen to be on the recent Inman 100 Most Influential Real Estate Leaders list. I thought it would be good to compare notes, ask for their thoughts and their No. 1 takeaways … and I’ve even included mine. Rebekah Radice is the founder and CEO of Rebekah Radice LLC. She has seen an explosion on Google Plus, and has leveraged this platform with great success for herself and clients in 2013. 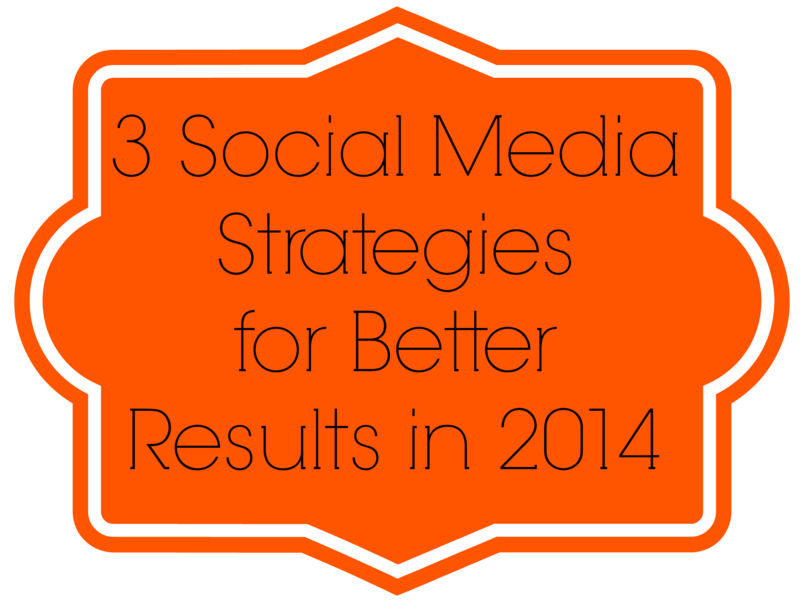 Google Plus tops her list for a fresh strategy this year. “As the real estate industry continues to evolve, so do the tools used to find, connect and engage today’s online consumer. Social media provides real estate professionals an opportunity to get in front of the right people in the exact location they spend their time online. While Facebook might have been your social network of choice last year, the latest algorithm changes may have you singing another tune. As Facebook openly acknowledges the limited organic reach now facing Page owners, the decision is to buy ads or get lost in the noise. The solution? Make a move to Google Plus where your ability to increase reach, grow your community and get found online knows no bounds! Google Plus is about creating an experience. Not only does it give you the chance to design a virtual community, but also a space that transitions your offline activities into an exciting and interactive online space. Get started by completing your profile, adding specific details about your talents, passions and clientele. From there you want to begin to build relationships. Be in for the long haul. “Don’t expect results overnight. Social media just like any other platform — it takes time and consistency. Consistent posting of relevant content is key, but also consistently being intentional about connecting with people is even more important. Are you making it a point to connect with five people a week on social media? Just like you might make fiive new phone calls a week? Social media is a great tool to keep in touch with your clients, but understand that one tweet, one Facebook post, one video isn’t going to do anything. Consistent effort equals consistent results. My No. 1 tip for 2014 is to get organized now before the year gets away from you. Make a top 10 list right now of the people you want to connect with. Then, make it a priority each week to authentically engage with them — retweet their articles they post that are of interest to you, comment on their vacation photos, reach out, send them a $5 Starbucks card through Facebook gifts. Don’t be creepy — don’t comment on everything! But be intentional about connecting with people. Measure your social media success, and don’t be afraid to try new things! Set up Google Analytics on your blog. Take one to two hours familiarizing yourself with the various free tools, real-time traffic, social referrals, and mobile activity. Even a site like StatCounter can help you measure the basics. Create and download a report on content popularity, referral traffic, keyword searches, percentage of mobile traffic, and social referrals. Use social media measuring tools. SproutSocial, Buffer and SocialBro to help you understand who is retweeting you and following you. My favorite: Don’t make a content calendar — make a “conversation” calendar. What can you ask your buyers/sellers that will help you get to know them better? Post your questions on Facebook and Twitter. The answers will help you learn about what matters in the minds of those you are trying to reach. Set aside the time to look at what happens when you try a new tactic on social media. Did traffic increase when you started doing more posts on LinkedIn? Did your use of Pinterest for 30 days increase views of your website? Get your coffee, a quiet morning once a week, and analyze. You’ll be doing more for your business than more than 80 percent of marketers on social media! Social media is not a new tool. There is no magic in one formula. It can be fun, distracting, time consuming, and may even have a questionable return for you if you are too focused on social media being a lead conversion tool. Try one new platform (Google Plus is our choice), be in it for the long haul, be consistent, and measure your success! And, as always, please leave us your comments and thoughts on what you think or what works for you.